One Hundred Years of the Legion of Frontiersmen is a handsome casebound crown quarto volume with approximately 100 b/w illustrations. It is currently out of print. Between the wars, the Frontiersman’s distinctive uniform of Stetson hat, shoulder chains and riding breeches was a familiar sight on civic occasions, while in the Second World War the Legion saw action in all the Services. The Legion attracted many well-known figures. Prince Louis of Battenberg was a founder-member, while his grand-daughter, the Countess Mountbatten of Burma continues the family link as its Patron. Geoffrey Pocock has brilliantly captured the spirit of this uniquely British organisation. His account, benefiting from much previously unpublished material, describes their successes and failures, their outstanding achievements and their errors of judgement. This book, with contributions from the Countess Mountbatten of Burma and Sir Patrick Moore, is the first to recount the history of this eccentric group of adventurers, fighters and, above all, patriots. 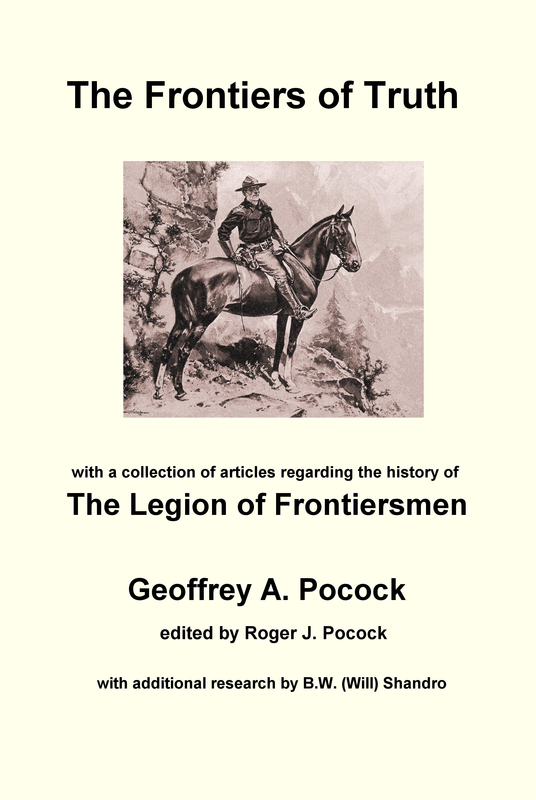 One Hundred Years of the Legion of Frontiersmen is currently out of print.